Market Dojo has now rolled out the responsive design for our flagship product, Market Dojo. This is designed to be optimised visually across all computer, smartphone and small tablet devices to maximise the user experience and interface. 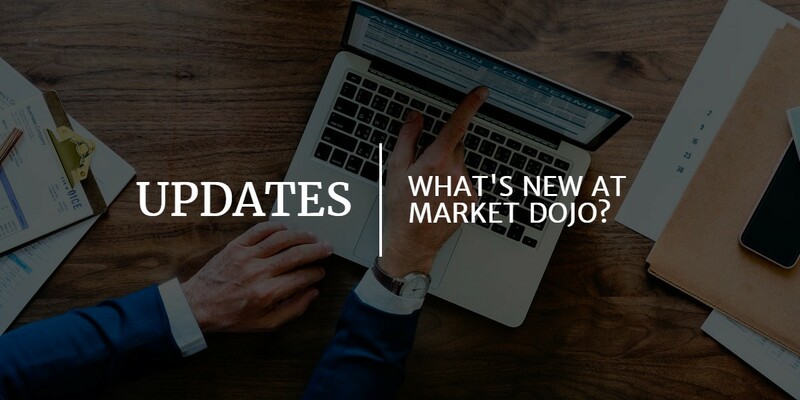 You can now use the responsive design for Market Dojo through our platform by logging in at https://secure.marketdojo.com. Alternatively, you can revert to the old design by going tohttps://previous.marketdojo.com. Any events created or actions made within the tool on either the responsive design or the old design will be consistent within the platforms. In a short time, the site hosting the existing design will be removed andwww.marketdojo.com will only run through the fully implemented responsive design. The responsive design has been built and designed in-house to ensure the consistency of the platform but with a refreshed visual design. If you wish to continue to use our existing design, just login athttps://previous.marketdojo.com and the data will be consistent with that of the tool in the responsive design platform. This functionality will only be available for a limited period of time and if you wish for more information contact us at support@marketdojo.com. A key focus of the responsive design is giving users a better experience of the tool, offering users the ability to take onboard more information than ever before. “As the use of mobile devices and tablets continue to grow rapidly, so does the range of devices and screen sizes on which people are using our tools. Our new responsive design allows users to reach critical content faster with a refreshed design that adapts to their device.